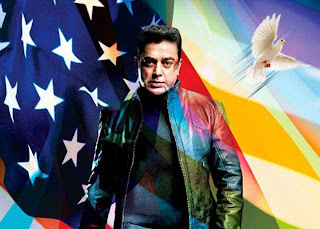 Actor Kamal Haasan will appeal to the Supreme Court to rescind a two-week ban on his mega-budget Vishwaroopam. He lost his case in the Madras High Court today, minutes after he announced he had "settled amicably" with Muslim groups by agreeing to delete contentious scenes and words from the movie. It was a day of incredible plot twists for the actor-director-producer. Late in the afternoon, he announced he would re-edit his film, removing a list of scenes and words furnished by Muslim groups. "My Muslim family has reached out to me...we have settled amicably...there are no more differences between me and my Muslim brothers," he said. The compromise contrasted with the firm stand he took at a press conference this morning, where he suggested the battle over Vishwaroopam is a crucible of India's secularism and threatened to leave Tamil Nadu if the ban on the movie was not lifted. "If there is no secular state in India, I would go overseas," he said. Blaming the state government, he said, "It appears Tamil Nadu wants me out...but I will always remain Tamil and an Indian." The ban on the movie was introduced by the Tamil Nadu government last week. It was lifted by a Madras High Court judge last night, who had reviewed Vishwaroopam. But the government appealed against that verdict in the High Court today, and won. 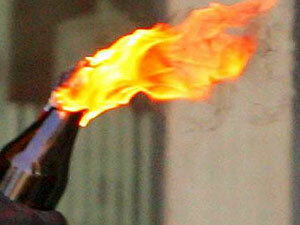 Petrol bombs were hurled at two theatres 600 kms from Chennai which were scheduled to show Vishwaroopam. Nobody was hurt; glass windows were shattered. Kamal Haasan's offer to make changes to his film may be based on his financial vulnerability as a producer of the big-budget film. He shared today that his house and other properties have been pledged to a money-lender. His brother, Chandra, who co-produced Vishwaroopam, has said the movie has lost between 30 and 60 crores because it has not screened as scheduled in Tamil Nadu. Kamal Haasan on Wednesday agreed to delete some objectionable scenes from his controversial film 'Vishwaroopam'. The actor-director said the issue had been settled amicably. But, soon after his statement on a compromise with Muslim leaders, the Madras high court on Wednesday set aside a single judge order staying the government's prohibitory orders on film 'Vishwaroopam'. As a result, theatres cannot screen the film anywhere in Tamil Nadu. "I have agreed to remove certain scenes relating to the Holy Quran in Vishwaroopam," Kamal Haasan had said just before the HC's latest order. He reiterated his film was pro Indian Muslims and was not meant to offend his 'Muslim brothers' in any way. Earlier in the day, an emotional Kamal Haasan said that he is thinking of leaving Tamil Nadu for some other secular state in India as the problems over his movie Vishwaroopam's release continued. "I will look at all the states from Kashmir to Kerala excluding Tamil Nadu. If I don't find one which is secular, I will leave for another country. M F Hussain had to leave, now Haasan will have to," said the actor, whose movie's release was stopped by TN state government authorities last week after a few Muslim groups protested. 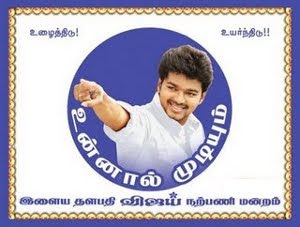 The actor told media on Wednesday that he will continue to make Tamil movies and love Tamilians even if he leaves India. "Only my passport will change," said Kamal. Late on Tuesday night, Justice K Venkataraman had stayed the Tamil Nadu government's prohibitory orders, thereby paving the way for the film's release. Soon after, top government lawyers rushed to the residence of Acting Chief Justice Elipe Dharma Rao and obtained permission to move an urgent appeal today. When the matter was taken up, the first bench comprising Justice Dharma Rao and Justice Aruna Jagadeesan wanted to know if Kamal's lawyers had approached the district collectors challenging their prohibitory orders. When the reply was in the negative, the court said that when the statue permits an officer to exercise a particular power that authority should be allowed to exercise it. "You have only two options before you. Either approach the district collectors and appeal against their prohibitory orders or wait for the single judge to pass final orders in the matter. Indicating that Kamal might approach the Supreme Court immediately, his senior counsel P S Raman wanted a copy of the order today itself. The plea was granted by the bench. The compromise contrasted with the firm stand he took at a press conference this morning, where he suggested the battle over Vishwaroopam is a crucible of India's secularismtate in India, I would go overseas," he said. Blaming the state government, he said, "It appears Tamil N and threatened to leave Tamil Nadu if the ban on the movie was not lifted. "If there is no secular state in India, I would go overseas," he said. Blaming the state government, he said, "It appears Tamil Nadu wants me out...but I will always remain Tamil and an Indian. "The ban on the movie was introduced by the Tamil Nadu government last week. It was lifted by a Madras High Court judge last night, who had reviewed Vishwaroopam. But the government appealed against that verdict in the High Court today, and won. 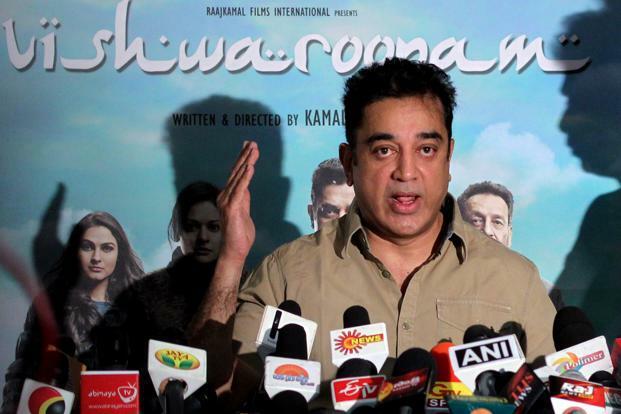 Petrol bombs were hurled this afternoon at two cinemas in Tamil Nadu which were scheduled to screen Vishwaroopam, the controversial film starring Kamal Haasan. Nobody was hurt; glass windows were shattered at the theatres located in the Ramanathapuram district, 600 kms from the state capital of Chennai. A two-week ban on the 95-crore movie ordered by the government was lifted last night by a judge of the Madras High Court who had watched the movie. The government has appealed against his verdict and the High Court is scheduled to hear the case today. At a press conference today, Kamal Haasan, who is 58, refuted allegations that in Vishwaroopam, Muslim characters play into negative stereotypes, the reason cited by the government for blocking the film. The superstar threatened to move away from India, declaring that if it does not prove itself as a secular state, he will have to find a home outside the country. However, he reassured his fans, "I will always remain a Tamil and an Indian" and said he would never stop writing or making Tamil films.